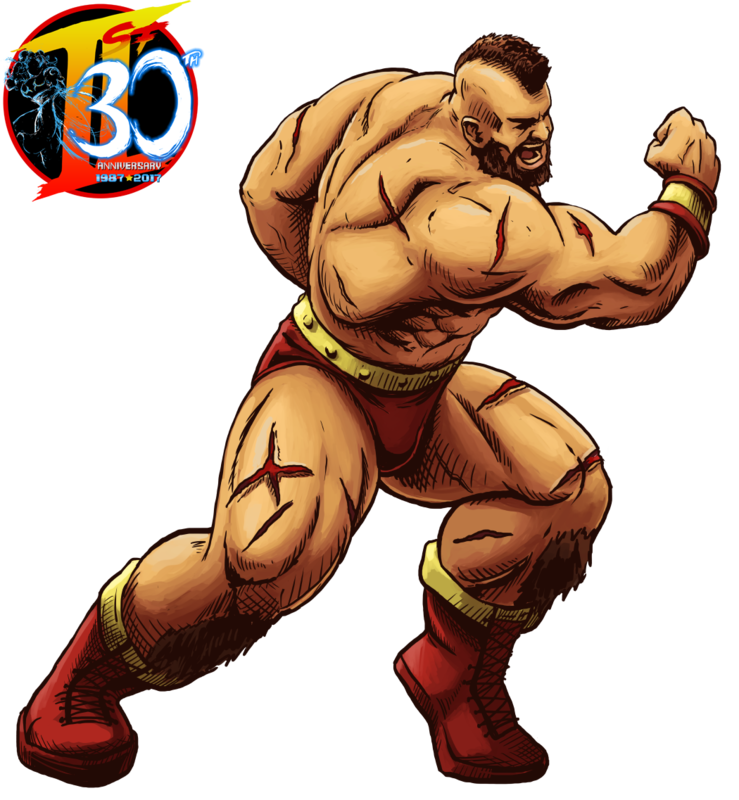 Zangief is one of the original nineteen characters from Street Fighter II and is one of the few characters throughout the entire Street Fighter series that hails from Russia. He has represented Russia in Street Fighter both during and after the Soviet Union. Zangief’s love for his country of Russia was so great that it actually caught the eye of real life leader Mikhail Gorbachev. In the last throws of the Soviet Union, Gorbachev wished to show the great strength of the Motherland by using Zangief’s incredible wrestling techniques and strength in the 2nd World Warriors Tournament. When Zangief demonstrated this amazing feat, Gorbachev himself flew down at the end of the tournament to personally congratulate Zangief and even partake in some ‘Russian Cossack Dancing’ with him. 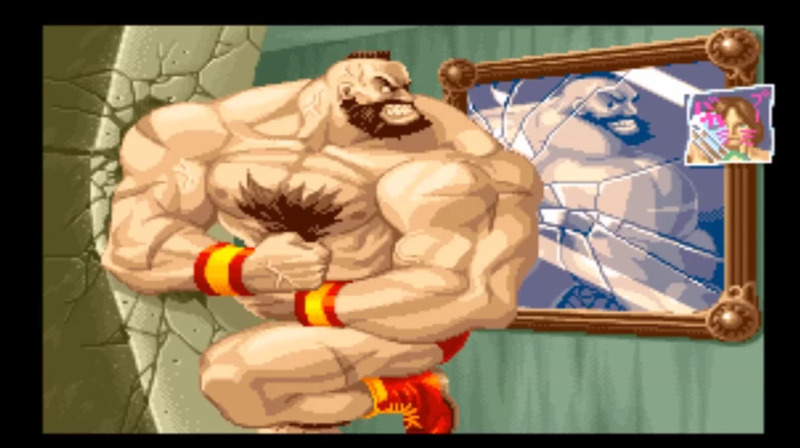 Since the dissolution of the Soviet Union and the End of the Cold War, Zangief has now usually been portrayed as a good guy. His “Happy Russian” attitude and “Russian Wrestling always number one” catchphrase has endeared him to many fans. It seems the only people who truly thought of Zangief as a bad guy were the players who faced him in Street Fighter II in the arcades. His great strength and dizzying piledriver moves depleted health bars faster than Zangief could down vodka. So as a source of frustration he is a villain, but as a character who loves his country and befriends other fighters he is considered good. CrescentDebris is an American male artist who participated four times in our Street Fighter II tribute. He drew one picture for Zangief and one for E, Honda. And both turned out very good and life-like. 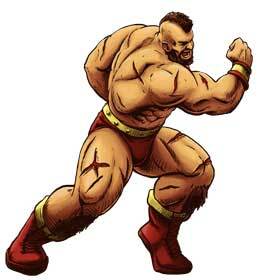 His take on Zangief is less exaggerated than the overly muscular caricature of in the games. But that just adds more realism to the Street Fighter series that is refreshing to see. For more of Crescent’s artworks, please visit his DA page. Furin94 is a German artist who participated in our Street Fighter 2 Tribute with his rendition of Violent Ken and Zangief. 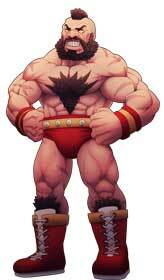 This time around he chose a more stockier version of Zangief, which shows of both his pride and his humorous side. 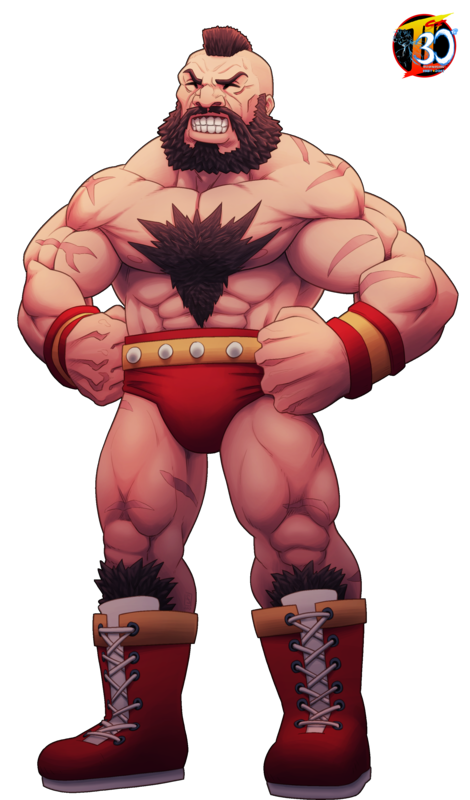 It shows how Zangief is both awesome and comical throughout the entire Street Fighter series as well as how beloved he is. Visit his DA page and check out more of his work!